These Solar powered lights are Ideal for garden parties, to brighten up walkways, or garden seating areas. Designed to hang on trees, branches, or trellis.It can also be placed on the floor to mark out paths, walkways or flowerbeds. Solar powered rechargeable battery. They have an on/off button on the bottom which when on will automatically turn on when it gets dark. 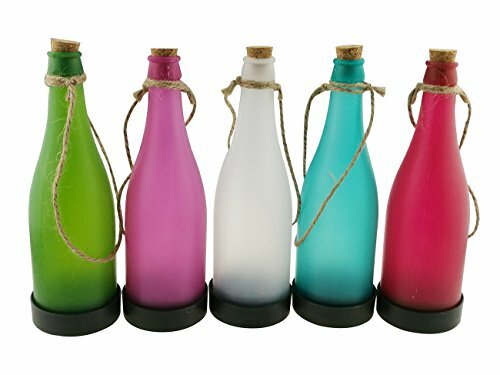 When lit up in darkness the bottle will glow either red, white or green depending on what colour bottle you have.